Gearbox made more news at their PAX East panel today, revealing that episode 2 of Telltale’s episodic Borderlands adventure will launch “soon”—probably the week of March 17. Episode 2 is entitled "Atlas Mugged." 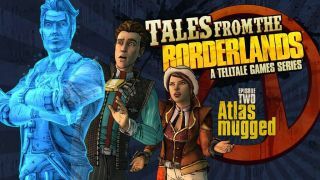 Telltale's take on the frequently insane Borderlands universe began in November with episode 1, Zer0 Sum, which Tyler reviewed here. Looking for more PAX East news? Follow our PAX East 2015 tag for all of our reports from the show floor.